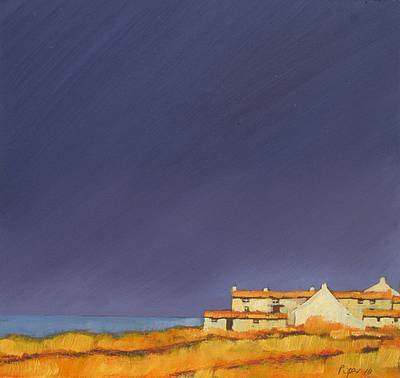 Right now we are waiting for new John PIPER Art to arrive at the gallery. In the meantime, here is a selection of the artist's archived art work which has featured at Red Rag Art Gallery. If you wish to register to receive updates and alerts when new art work from John PIPER arrives select this link. John Piper was born in 1946 in Salisbury, Wiltshire. He moved to Cornwall in 1963. 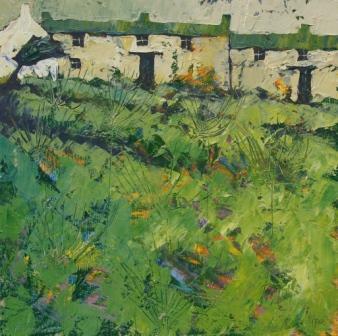 Cornwall has been a constant source of inspiration for Piper's paintings. 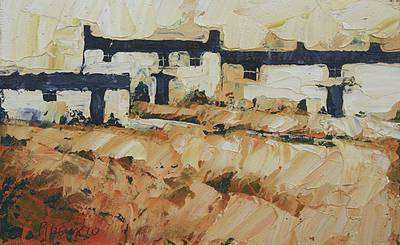 He has been profoundly influenced by the Cornish countryside. 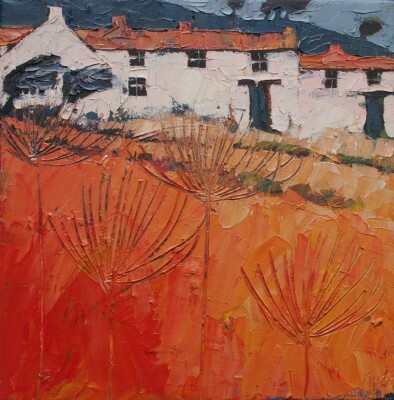 John's paintings reflect his affinity with such wonderful natural surroundings. 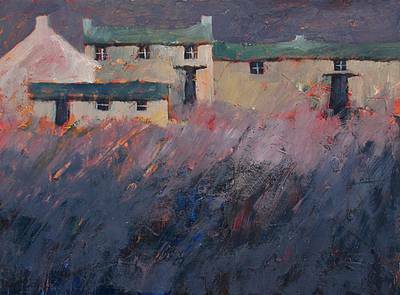 John Piper paintings are always in oils on board or on canvas. 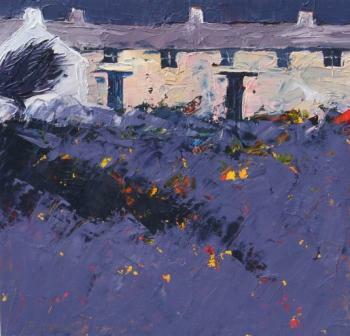 A restricted use of colour and an emphasis on line and form, set within the Cornish landscape dominate the paintings. John paintings often have a series of thin glazes applied one upon another. Sometimes earlier drawing is allowed to show through; whilst at other times the painting is deeply scratched and scraped, providing an intensity of depth and colour. At other times, particularly with smaller paintings, paint is applied more opaquely and with less over-drawing. John Piper has a number of recurrent themes in his paintings including: Moors, cliffs, headlands, fields, coastline, cottages hedges and boundaries. The paintings are full of contrasts and balances. Finely drawn or deeply etched lines are imposed on, or blend into soft blues, greens and ochres. The effect can be sharp or gentle, hard or soft. The paintings have a depth of content and colour but there is much surface work, too. Lines and textures on the surface mean that the work can be perceived at several levels. The image is often stark, even cold, but the treatment is always sympathetic so the end result is one of balance. John Piper is a member of the Newlyn Society of Artists and the Penwith Society. 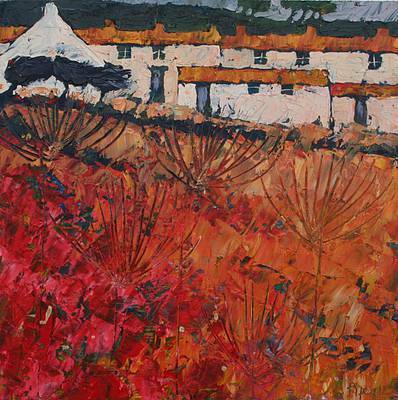 In addition to Red Rag British Art Gallery John Piper art work has been exhibited at other leading British Art Galleries. 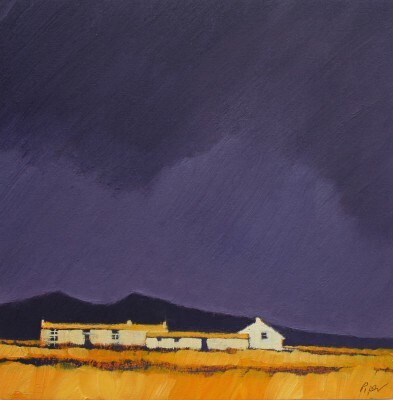 Each painting at Red Rag is sourced from the John Piper artist studio and like all Red Rag British art and Contemporary art it can be shipped worldwide.